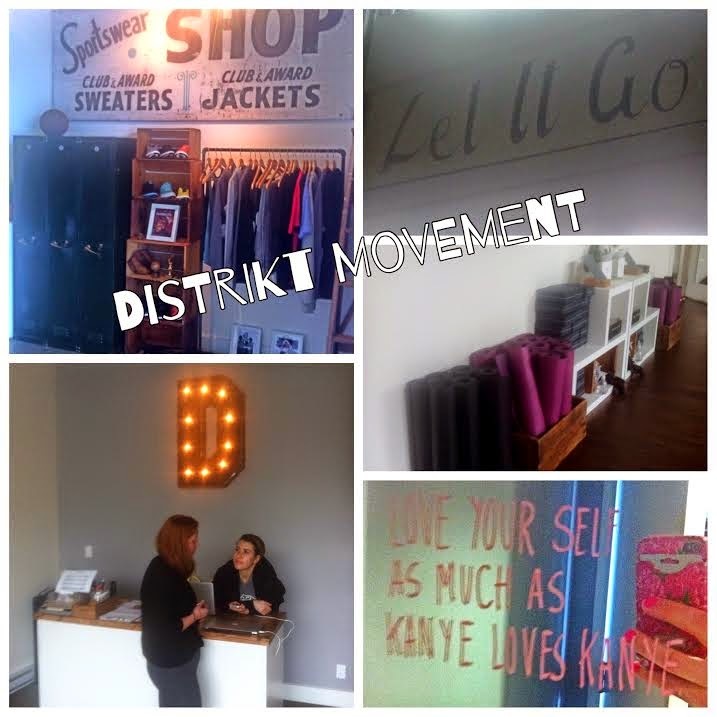 Distrikt Movement is a must do! One awesome perk of being a Lemon is the community and access to sweat with each other at local studios. On Tuesday the gals from Park Royal invited me to a nooner yoga class as Distrikt Movement in North Van, a quick skip over the second narrows will get you there in less time than you think. Distrikt Movement is definitely a movement and a community spot that combines classes with a focus on supporting youth initiatives as well. They have a variety of cool yoga and fitness classes. The one I'm excited to try is called Ugly Sweaters...if you want to come will me, let's go sweat! In addition to the amazing heart and souls that run the studio and all the teachers leading the classes, the atmosphere and aesthetics of this studio is nothing short of a Pinterest board. Every corner of this studio is decked out an should really be in a magazine. It's beautiful and everything is well thought out and makes you feel special. My personal favourite was written on the bath room mirror. "Love yourself as much as Kayne loves Kayne."